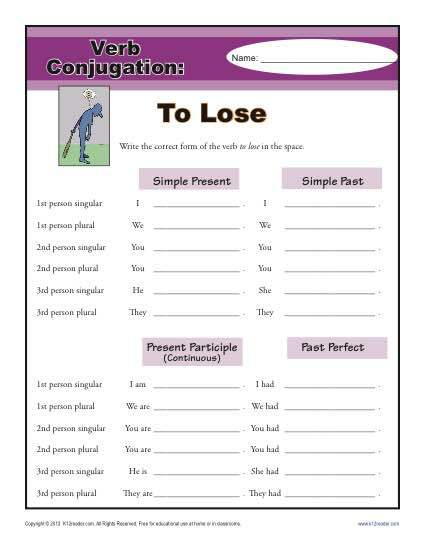 You can’t lose with this “to lose” conjugation worksheet! Your student will write the four tenses of this irregular verb. It’s great practice for Common Core Standards for Language for 2nd through 5th grade, although other students may also use it.